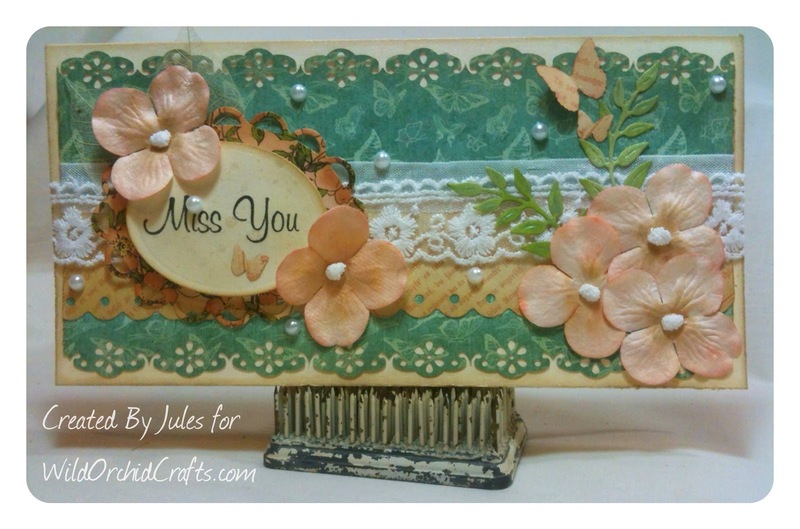 "The Jule Box Studios": "Miss You" card! Hope you all had a great weekend! Graduations and Graduation Parties were happening all weekend here in the Pacific Northwest! So, Congrats new Grads!! So in the middle of all the festivities, I got a call from my sister Lisa and we chatted for about an hour...we hadn't spoken for almost 2 months and it was so nice to just sit a chat with her...I miss her...it's time for her to come back up to Oregon for another visit. I hate being far from family! I decided to make her a card...and I had just bought this stamp set from TPC Studio that had a lot of sentiments on it....so I made her this card! 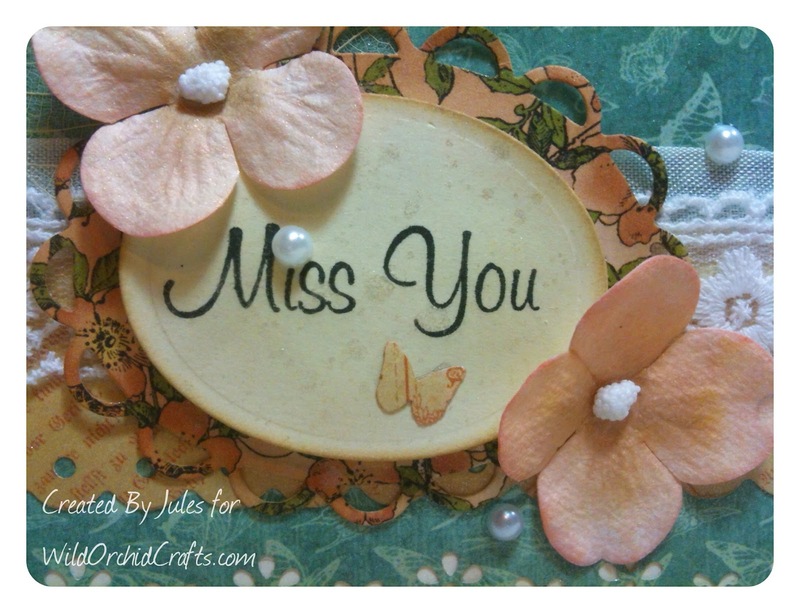 I used items from one of my favorite shops, Wild Orchid Crafts! So, I'll share a product list of what I used below. 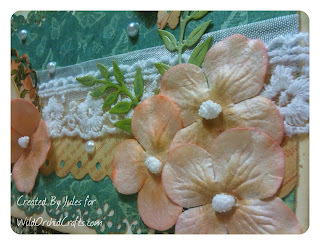 Here's what I used from WOC! 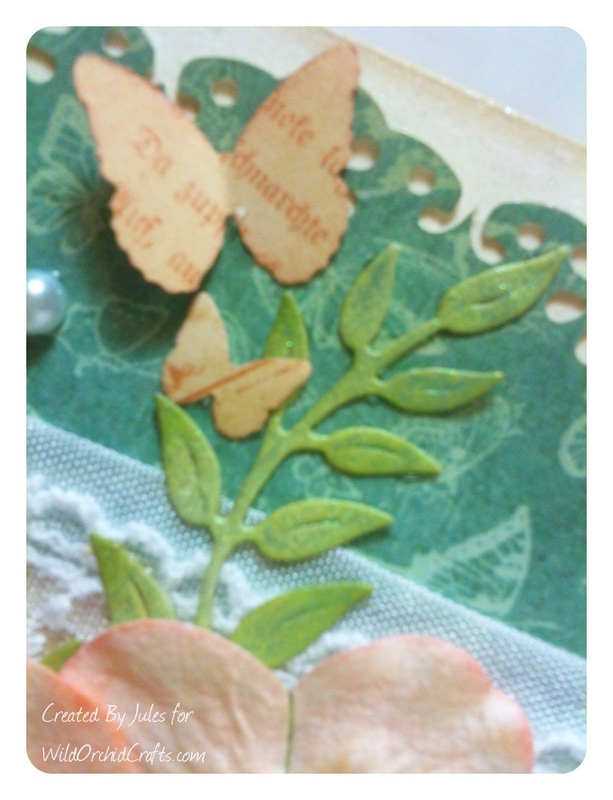 Hope you all will have a very blessed week! 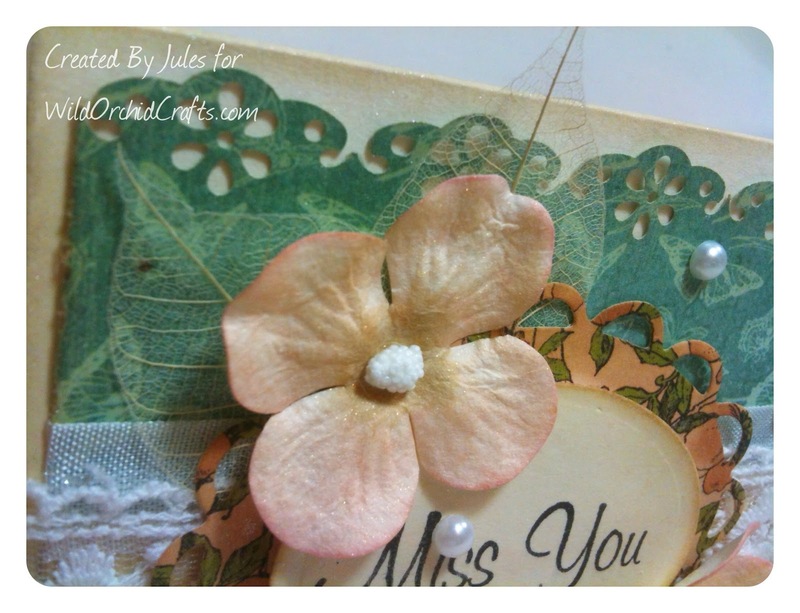 Beautiful card Jules!! I would like you to do a tutorial about what you did with the stamens. You can never have too much knowledge! Thank you for sharing your card with us! !